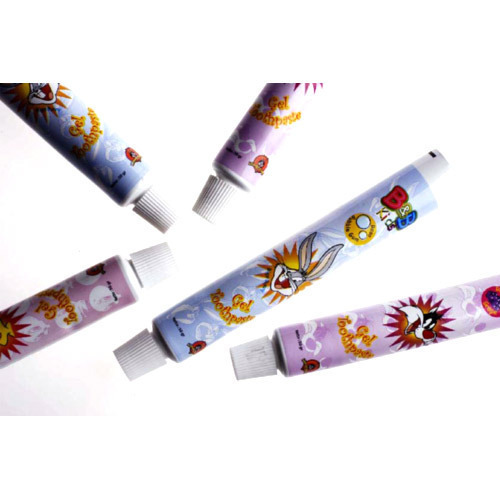 Organization is actively involved in offering large variety of Laminated Tubes. this is available in customized forms to cater to the demands of our clients. Medium and Low Barrier laminates based on PET, OPP, and PE. Breathable Laminates based on Woven Sack and paper. Highly Flexible Extrusion based laminates. High Mechanical Strength PE-PE Laminates. Established in 1998, we Yuyu Medimpex P. Ltd. are manufacturer and trader and exporter of Bottle Caps, Laminated Tubes, Pharma Measuring Cups, Printed Mono Cartons, Dry Syrup Bottles, Self Adhesive Labels, Heat Sealable Laminated Tape, Pharmaceutical Packaging Tape and Pharmaceutical Aluminum Foil.